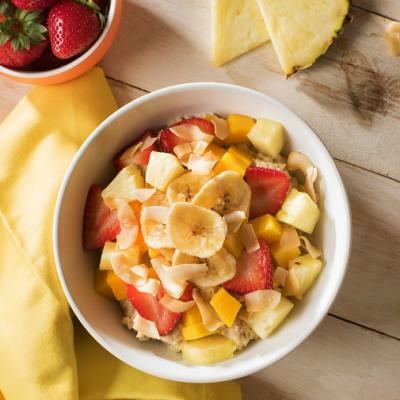 Take your oatmeal to go with this quick-and-easy recipe. 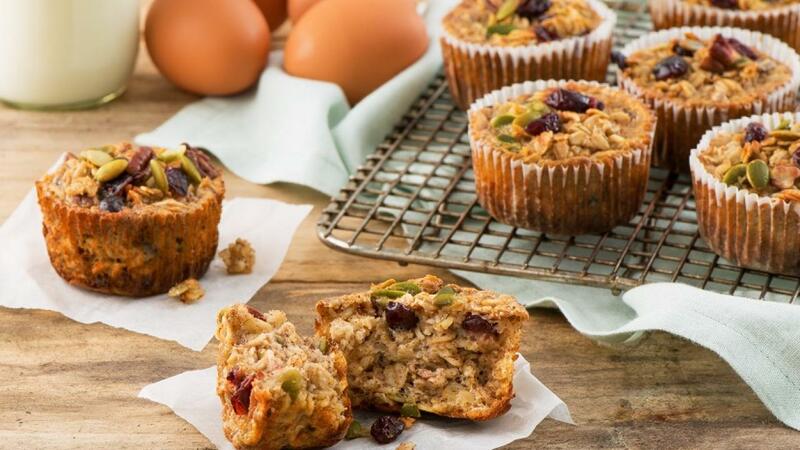 A cross between a muffin and granola, these cups will keep you fueled all morning long! Preheat oven to 350°F (180°C). Line 12 muffin cups with paper liners; grease lightly and set aside. Mix together oats, baking powder, cinnamon, nutmeg and salt. In separate bowl, whisk together eggs, milk, half of the sugar, and melted butter; pour over oats mixture. Stir well. Mix pecans with remaining sugar, cranberries and pumpkin seeds; reserve 1/4 cup (60 mL) of the pecan mixture and set aside. Fold remaining pecan mixture into oatmeal mixture; let stand for 5 minutes. Scoop into muffin cups. Sprinkle reserved pecan mixture evenly over tops, pressing slightly to adhere. Bake until cups are slightly risen and oatmeal is set, approximately 20 minutes. Transfer to rack; let cool for 5 minutes. Turn out onto rack; let cool completely. Serve warm or at room temperature. Refrigerate in air-tight container for up to 2 days. Top these oatmeal cups with yogurt and berries if desired. Substitute your favourite nuts, dried fruit and seeds for pecans, cranberries and pumpkin seeds. 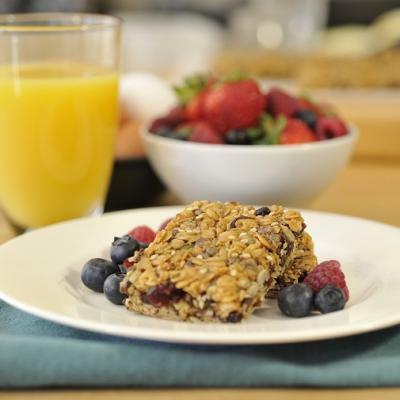 Try almonds, walnuts, sunflower seeds, raisins or dates. To serve warm, microwave until warmed through, about 30 seconds.